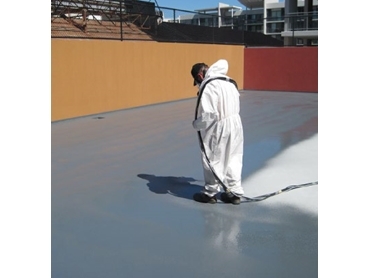 Waterproofing Melbourne offers concrete waterproofing services to the Tullamarine area and any suburb in Melbourne. The company is committed to following Master Builders Association guidelines and standards when it comes to construction waterproofing, and the waterproofing of tanks, roofs and swimming pools. Waterproofing Melbourne has high quality machines in place, purpose built to spray Polyurea, Polyurethane and Liquid Rubber. The experienced staff can also roll liquid applied membranes or sheet membranes, depending on the application. For rooftop waterproofing, all staff members are Working at Heights qualified and have the safety equipment necessary. The company also has a number of EWP (elevated work platform) tickets so they can waterproof in any direction.